ASTANA – “Perhaps there are no monuments of global significance on our land like the Egyptian pyramids or the Colosseum, but the role of nomads in world history is undeniable,” said Kazakh President Nursultan Nazarbayev in June 2008. 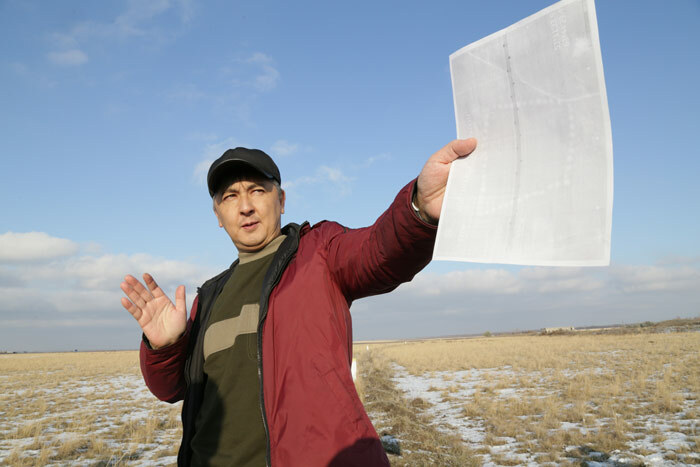 More than a year had passed since mysterious structures were discovered across Northern Kazakhstan in March 2007 by Kostanai resident Dmitriy Dey, but the lack of information on dating and belonging to an archaeological culture prevented making statements about finding ancient monuments of global importance. Meanwhile, their size, geometric accuracy and historical value fully deserve to be classified as such. The Turgay geoglyphs triggered great interest among foreign archaeologists, scientists, mass media and even esotery scientists. 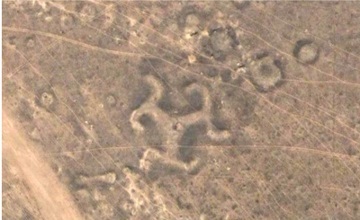 During the past 10 years, Dey and a team of archaeologists and scientists made 14 expeditions and discovered 344 geoglyphs, or large elements produced on the ground. According to the working hypothesis, the earliest geoglyphs date as far back as 8,000 years. “During the research, we collected and studied many published materials and scientific papers related to the Turgay trough. Our team analysed processes of geological changes over the past 50,000 years, including natural disasters, which led to various changes in the Turgay trough. However, the answers to the questions of who, when and why built the geoglyphs were not answered until the beginning of 2012. By this time, the team studied the work of Harvard University Professor Anatole Klyosov in the field of DNA genealogy and the discovery of Chankillo, the oldest solar observatory, made by an archaeologist from Catholic University of Peru, Professor Ivan Ghezzi,” Dey said in an interview for this story. The ancient monumental complex in Peru is similar to the Turgay geoglyphs, which led to the idea of applying the method of tracking the yearlong movement of the sunrise at Chankillo to the Turgay sites. StarCalc, the professional astronomy planetarium and star mapping programme, allowed modelling the annual sunrise and sunset point observation cycle and applying it to the Turgay objects’ latitude and longitude coordinates. 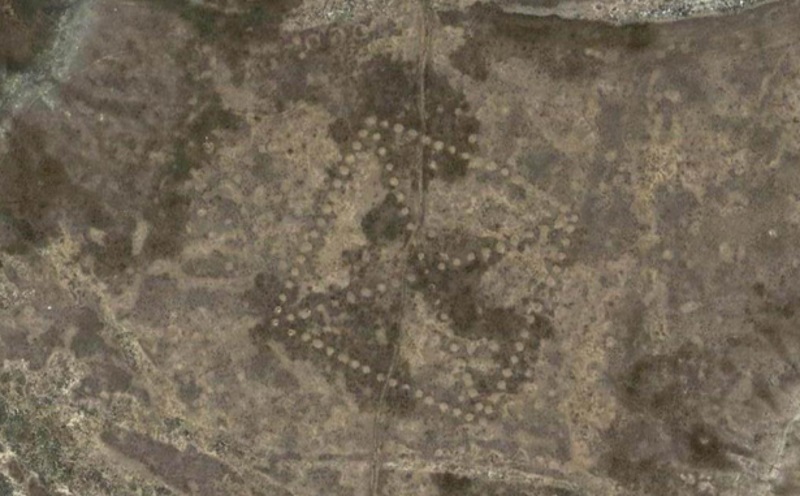 Calculations showed the Turgay geoglyphs can be used as solar calendars. Dey, however, needed to verify a rule on the Turgay site: objects should be located above the horizon line relative to the calculated observation point to work according to the principle of the solar observatory. Financial support from Rinat Naimanov, general director of AllianceStroyInvest, provided the funding to equip and complete five reconnaissance expeditions in 2012. In the course of field research, 14 of the 19 objects found at that time were examined. At each facility, Dey gained visual confirmation that the objects are located above the horizon line relative to the calculated observation points and can be used as solar calendars. Artefacts from the Mesolithic and Neolithic epochs (10,000-6,000 BP) were discovered not far from 10 of the 14 investigated structures, particularly artefacts related to the Mahanjar culture. In the following years, five more objects were inspected, which also gave confirmation of the location above the horizon line relative to the calculated observation point. Having reviewed the results of studies of various scientific disciplines (archaeology, geology, climatology, DNA genealogy, etc. ), the team formulated a working hypothesis of the origin and mission of the Turgay geoglyphs. About 45,000 years ago, homo sapiens tribes (the ancestors of modern humans) with the haplogroup K(xLT) Y-DNA came to the territory of Southern Siberia, which at the time was inhabited by Neanderthals and the newly-discovered Denisov man (both extinct human subspecies). This haplogroup became the ancestor of haplogroups K, M, N, O, Q, R1a and R1b, R2 and S.
Known carriers of haplogroup R1b are the House of Steward (Scottish monarchs), House of Saxe–Coburg and Gotha (German dynasty), Windsor royal house of the United Kingdom, Romanov dynasty from Peter III, Kings of Denmark and Norway, George Washington, Abraham Lincoln and several other U.S. presidents. “According to the testing results of royal families’ members of the Western world, the haplogroup R1b appears in the male line. That is, according to the working hypothesis, their ancestors laid the foundations of the civilisation of the modern European world in the Turgay trough from 9,000 to 6,400 years ago,” said Dey. He announced the Jan. 1 start of an international Turgay Discovery project, encouraging people throughout the world to make their own contributions by visiting the website turgay.kz. The international project aims at raising funds for research, as well as further interaction with foreign scientific institutions to organise expeditions to the Turgay sites. “In June this year, we are planning to hold expeditions to the geoglyphs of the Turgay trough. Our team will carry out scientific research and make high definition photo and video shootings of the geoglyphs using a drone. All data and research results will be submitted to the project participants. We will shoot missing footage and edit the documentary popular science movie ‘Puzzle Vremeni’ (Time Puzzle). Nina Burleigh, a journalist from the American weekly news magazine ‘Newsweek,’ is ready to visit Kazakhstan this summer to participate in the expedition,” he said.